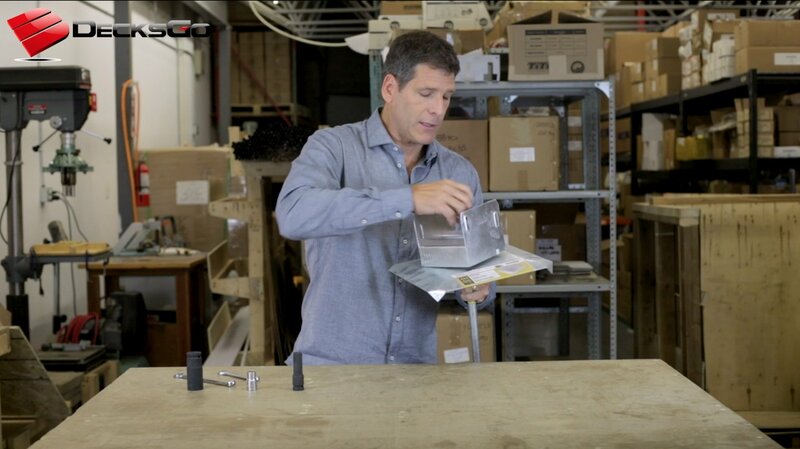 The topic of waterproofing for the average homeowner can be confusing. 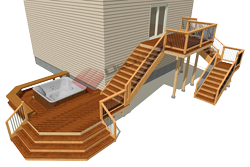 Are you facing the dilemma of waterproofing a wood deck after it has been built? 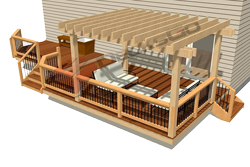 It's an easy thing to overlook during the design stage as you are usually so focused on all the great things you are going to be doing on the deck area above. It's not until you think about walking underneath your deck that you soon realize its wasted space unless it's dry. Of course, the kind of decks I am referring to are second level decks that have enough useful space below them that it makes sense to waterproof the top of the deck. So where do you begin to fix this problem? 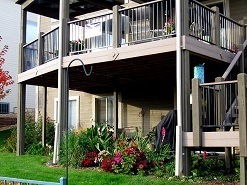 There are several ways to create waterproof a deck. There are either coatings, membranes or physical catchment sytems like eavestrough but much more evolved. Each has its own benefits and drawbacks. 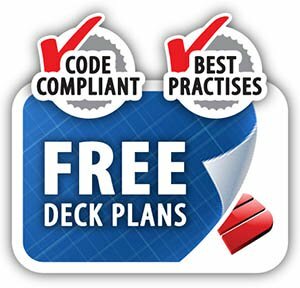 I am going to talke about three types of solutions: waterproof deck coatings, membranes, locking deck boards, and catchment sytems or under deck waterproof options. Just as it sounds you cover the deck surface with a liquid material and it becomes an impermeable layer. But it won't work directly on gapped boards. You have to cover the boards with tongue and groove plywood, glued and screwed to the deck. 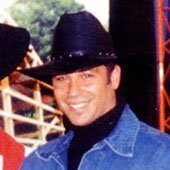 But this is a project the average Do It Yourselfer could handle because the skill and cost required is low. The types the you will find most often are liquid rubber products, fiberglass resins and matting and in some professional circles, cement based liquids. For a much more detailed discussion see this article on deck coatings. Turned out it was also a perfect way to seal wood surface decks. 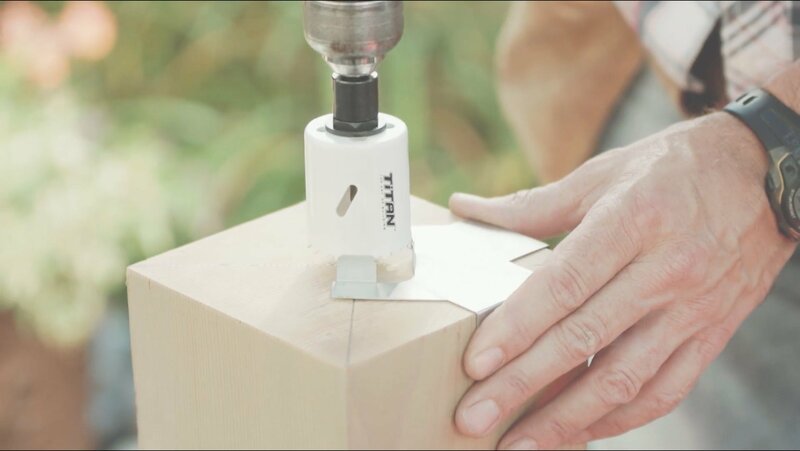 But again, you have to use a plywood substrate. So its a bit more challenging they welding is critical. So not the easiest for a DIYer. If you see this as an option you should read the articles on vinyl membrane solutions. 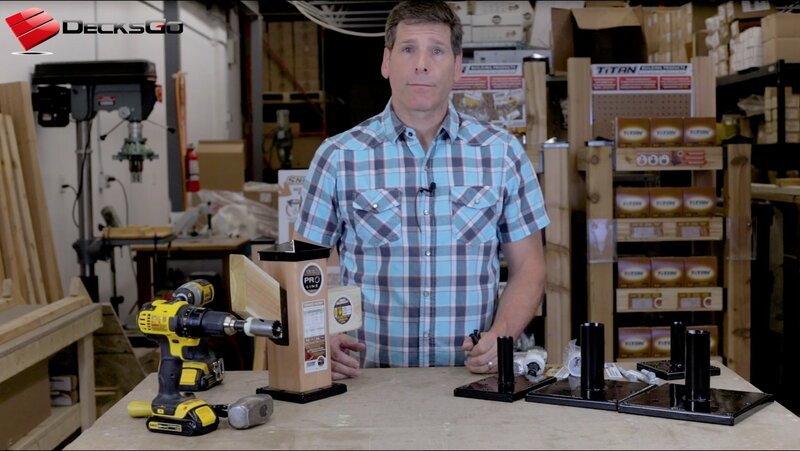 A concept that is proven is to use extruded aluminum planks that replace wooden boards. These extrusions lock together and can have a textured, or profiled surface which stops water from dripping down and channels it to the perimeter of the deck if the slope is correct. 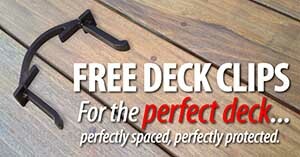 Aluminum waterproof solutions like this also offer you some of the longest lasting decking solutions possible. So you solve two solutions at once. Not bad. Thankfully some very talented people have spent a lot of time working out all the details of making a wood deck waterproof. They all are based on physically catching water under the deck with panels that act like a big eaves trough. The run off water is channeled to another trough that takes the waters to a down spout. 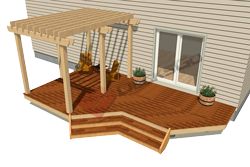 These products really make all the space under your deck useful living space. And they can be easily added on to an existing deck as a retrofit. 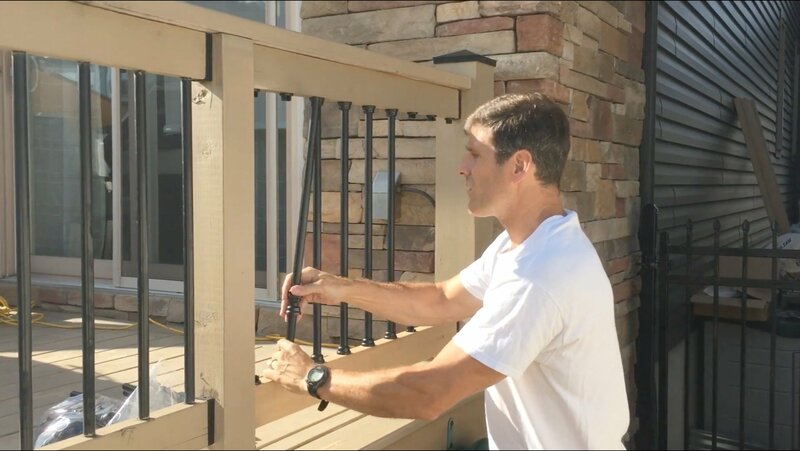 Think of the utility you will gain by covering that area with a waterproof deck surface above your head and still having the beauty of a traditional wood framed decking surface. 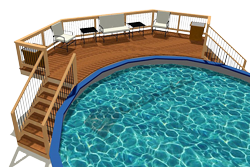 There is way more to learn about deck waterproofing in these more detailed articles. And if money is tight then your best material for the deck boards is likely pressure treated lumber. But now you are in a position of knowledge to make that choice. 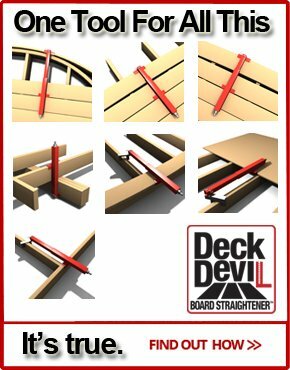 If you read each of the various topics you will have a very broad understanding of the the latest deck materials available today.